The Hampton Inn Columbia-I-26 Airport hotel is located southwest of downtown Columbia South Carolina and is the closest Hampton Inn to the Columbia Metro Airport. The hotel is .8 miles from the Columbia Mets 3 miles from the Dutch Square Mall 4 miles from Outlet Pointe Mall Columbia Metro Airport and the South Carolina state capital and 7 miles from Carolina Coliseum and 6 miles from Columbia Place Mall. Dining options around the Hampton Inn Columbia Airport hotel include Maurice*s Barbecue Grecian Gardens Hardee*s Atlanta Bread Company Pizza Hut Ruby Tuesdays and Applebee*s all within a mile of the hotel. The hotel features non-smoking floors motor coach parking an outdoor pool and a meeting room that can accommodate up to 25 people. Hotel amenities include our complimentary continental breakfast local calls airport shuttle service high-speed wireless internet access and 25** cable televisions in each room. 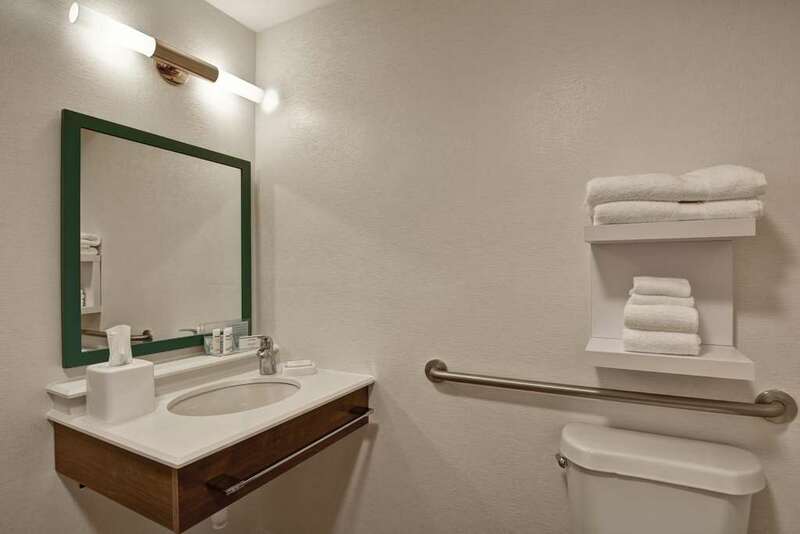 This Columbia Airport hotel also offers connecting rooms cribs rollaway beds pay-per-view movies irons and ironing boards. Laundry/valet services and meeting/banquet facilities are available for a nominal fee. We love having you here at the Hampton Inn Columbia-I-26-Airport hotel in South Carolina.